In his all-too-brief life and even briefer career, Christopher Wallace had something of a fascination with death. It’s present in the titles of the albums he released under his stage name The Notorious B.I.G. : Ready to Die and Life After Death. It’s there in songs like “Suicidal Thoughts” (the closer on his first album that ends with the sound of a self-inflicted gunshot), “Long Kiss Goodnight,” “Last Day,” and the eerily titled “You’re Nobody (Til Somebody Kills You).” While it wasn’t the only thing he rapped about, it’s certainly the most prevalent theme in. 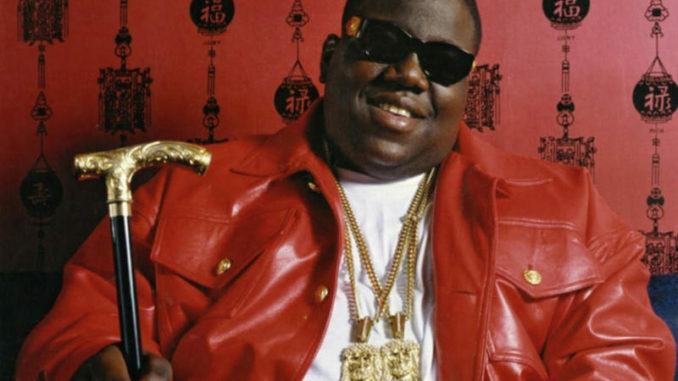 And so, it seems only fitting that, in a perverse bit of kismet, his death has left us fascinated with Biggie’s life. Or more accurately, how it ended. It’s been 22 years since the rapper was gunned down in cold blood in his GMC Yukon outside the Petersen Automotive Museum in Los Angeles, felled just as his star was ascending. And in the over two decades since his life was cut short, we’re no more certain on the identity of his assailant than we were in the immediate aftermath. Though, that hasn’t stopped fans and conspiracy theorists from running wild with idea over who took Big Poppa out—and why.